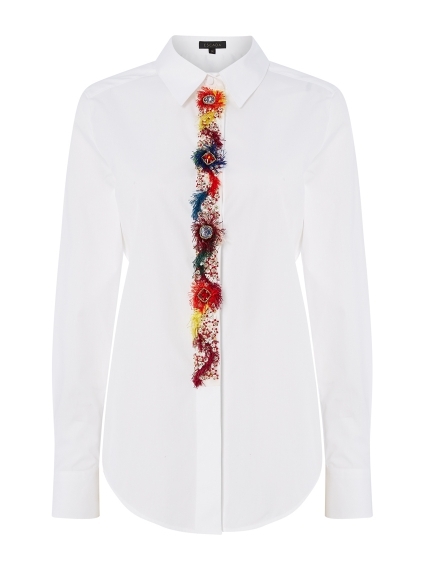 Detailed with colorful rhinestones and floral beading, the Nadish cotton shirt from Escada will turn heads. 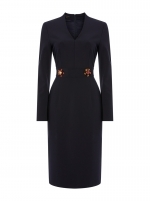 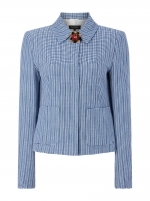 The hand-embroidered design has a loose fit and is trimmed with a classic pointed collar. 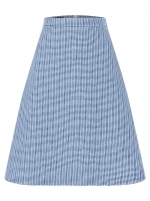 Try teaming with the Roona Tweed Skirt.